PLEASE NOTE OUR KITCHEN WILL BE CLOSED SATURDAY, JULY 2nd AND THE POST CLOSES AT 10PM THAT NIGHT! FURTHERMORE, THE POST IS CLOSED MONDAY, JULY 4TH. It is with heavy hearts that we announce the passing of Al Lichty, a former officer of our Post and good friend to many of us. It’s hard to think of him without calling to mind that silly voicemail message – Big Al, the Kiddie’s Pal – or all the work he put into the Post and his long history here. Recently he had been absent for several meetings, but every time I called him he insisted that he would be at the next meeting for sure. Al was a good man who worked hard at everything he did and his passing is a loss to all of us. The last child of 7 born to Albert A. & Mary S. Sterbach Lichty. Albert, 89, of Lancaster, passed away on June 16, 2016 at home surrounded by his loving family. 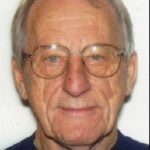 He was the husband of 48 years to the late Elizabeth M. Lichty, & companion to Yvonne Strantz for the past 16 years. Born June 10, 1927, he was raised in Cabbage Hill area. Attended St. Joseph’s Church & school. Also attended Lancaster Catholic & McCaskey. Proudly served in the US Navy the later part of WWII and the Korean Conflict. He served aboard the USS Achelous in WWII and USS Senaca in the Korean Conflict. Before leaving for the service, he worked at Armstrong. Returning from the service, he worked at Bell Telephone for 44 ½ years first as a lineman and then later as a switching technician. After retiring from Bell Telephone, he worked at the Courthouse for 6 years as a Clerk of the Criminal Court. Then went to work for the Millersville VFW Post 7294 for 14 years as Treasurer of the corporation. He also worked the voting polls in his local district. He was active with the Telephone Pioneers for 24 years. He was local president for 2 years and the clown coordinator. He was part of the installation of the fitness course at the Lancaster County Park. He was award chairman for the Special Olympics sponsored by the Telephone Pioneers at Fort Indiantown Gap. He was involved with Boy Scouts at St. Mary’s Church in the late 1950’s and late 60 early 70 with Cub Scouts at Hans Herr and the Boy Scouts at Lampeter Fire Company. He was a member of the Throwing Bull Tribe and Order of the Arrow. Albert loved the beach, gardening, fishing & camping. He could fix anything & was always on the Go! Surviving are 4 children: Albert Lichty, Jr. husband of Jerry, Mary Ellen Hewes, wife of Gary, Gerry Lynn Potts and Robert A. Lichty, husband of Christine; 9 grandchildren, 5 great-granddaughters & 4 great-grandsons. He was preceded in death by sisters: Janet Sherts, Mary Jane Shifflet & Helen Warner; brothers: Irvin, Bernard & Robert Lichty. A Mass of Christian Burial will be held at 11 a.m. on Tuesday, June 21, 2016 at St. Joseph Catholic Church, 440 St. Joseph St., Lancaster, PA 17603. A viewing will take place from 9:30-11 a.m. at the church. Albert will be laid to rest at St. Joseph New Catholic Cemetery. In lieu of flowers, contributions may be made to the Lancaster County SPCA, 848 S. Prince St., Lancaster, PA 17603 or Hospice & Community Care, 685 Good Drive, Box 4125, Lancaster, PA 17604.